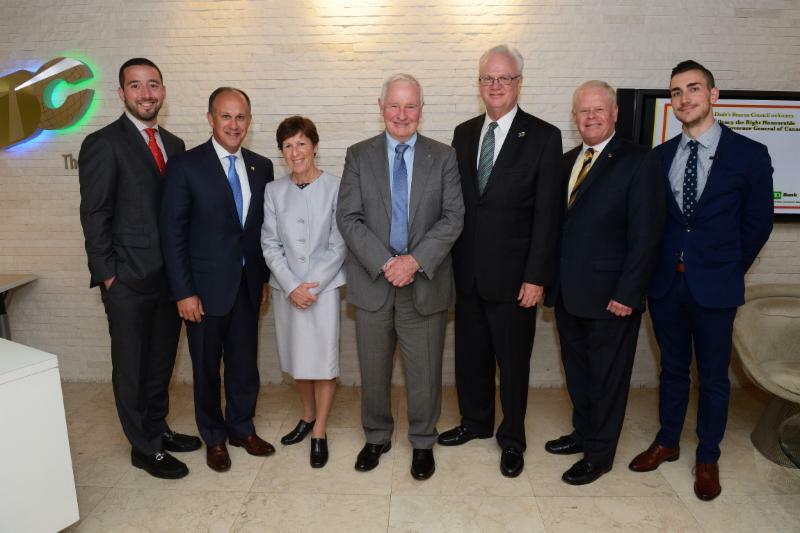 His Excellency the Right Honourable David Johnston, Governor General of Canada, was welcomed to The Beacon Council and Miami-Dade by County Commissioner Daniella Levine Cava, a Beacon Council Board Member; Ernie Diaz, Chair of The Beacon Council; and Larry K. Williams, President & CEO. 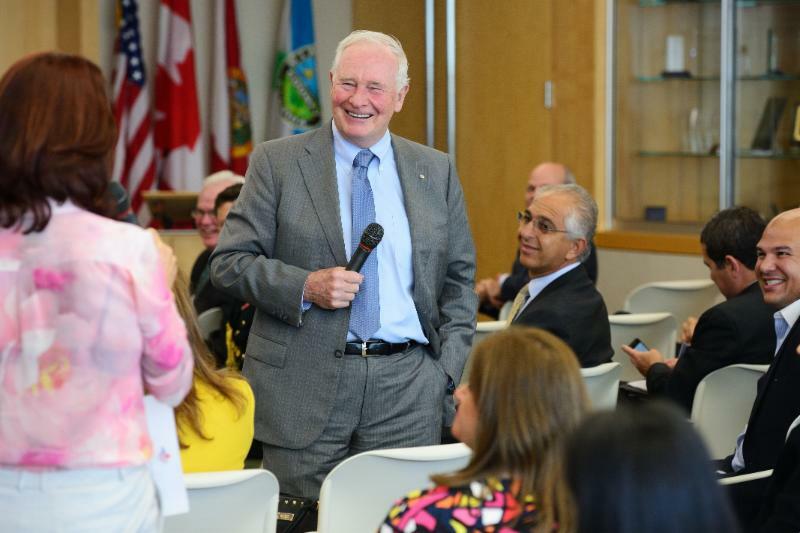 The Governor General, who represents the Queen of England in Canada and acts as Canada’s head of state and commander in chief, met with Miami business leaders during the “Smart Cities as an Opportunity for Dialogue on Entrepreneurship and Innovation” event held May 26 at The Beacon Council. His remarks focused on the unbreakable strategic, cultural and commercial alliances between the United States and Canada. He noted that Canada is one of Florida’s most important trading partners and how Canada is “deeply rooted” in Miami and Florida. When asked how to foster innovation, he mentioned what he called “the 5 Cs of Innovation.” They are (1) curiosity (2) capacity (talent) (3) creativity (diversity), (4) collaboration and (5) celebration. Celebration encourages others to welcome change and inspires them to have the courage to come up with new ideas. He also emphasized the importance of public education. “Cherish your teachers, and treat them with respect,” he said. The most valuable renewable resource is people and he called the connections between education and business a wonderful solution. In his opening remarks, Williams underscored the importance of the economic relationship between Canada and Miami-Dade County and Florida. Williams noted how Greater Miami and the Beaches, Montreal and Vancouver are part of the Rockefeller Foundation’s Resilient Cities Challenge, 100 cities where innovation goes beyond technology to focus on economic resilience. Chair Ernie Diaz, Regional President, TD Bank, talked about the U.S. growth of the Canadian company he leads in South Florida. Barry Johnson, President & CEO of the Greater Miami Chamber of Commerce, also provided remarks and stressed the importance of collaboration in building a sustainable economy. Xavier Gonzalez, CEO, eMerge Americas, talked about Miami’s global gateway status as the competitive edge in growing a tech hub and Moderator Christopher Sopher, Co-Founder and CEO of WhereBy.Us, deftly ran the Q&A segment. 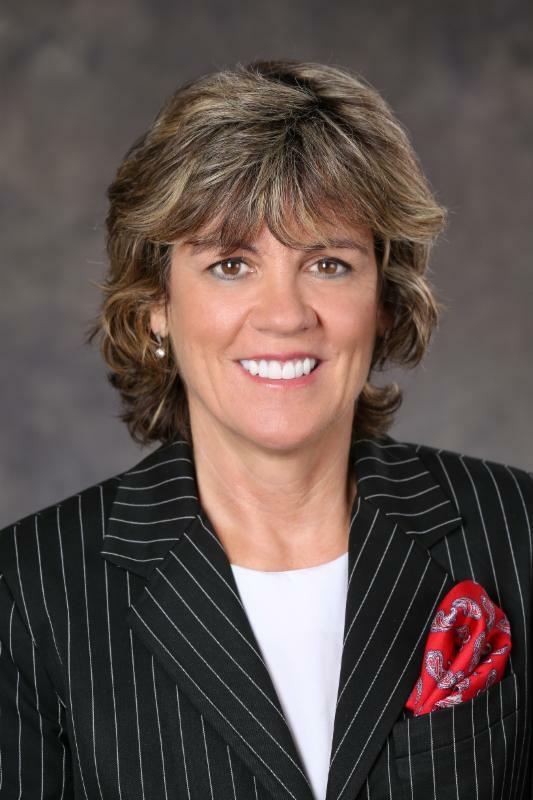 The Beacon Council thanks The Honorable Consul General of Canada in Miami, Louise Leger for the opportunity to host this very important visit. 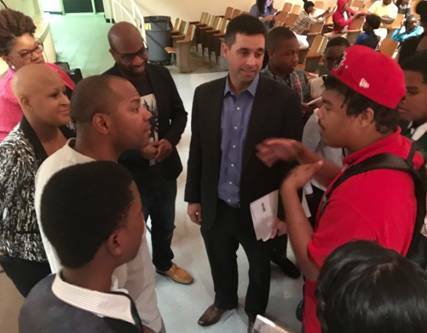 On May 23, The Beacon Council’s One Community One Goal (OCOG) initiative partnered with the United Way and the Urban League to host a panel of entrepreneurs addressing career paths for students. It was moderated by Matt Haggman, Program Director, Knight Foundation and co-chair of OCOG. 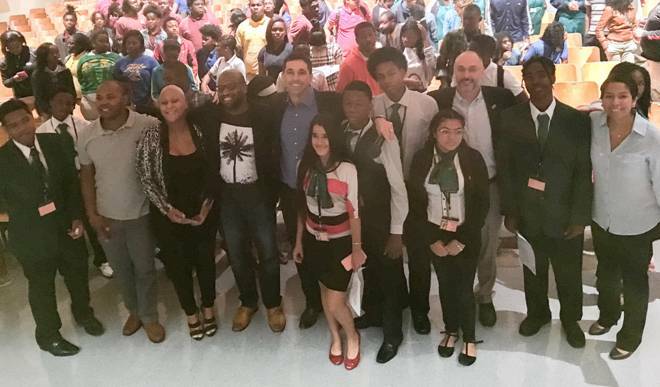 Participants included more than 100 students from Miami Northwestern, Miami Central, Stellar Leadership Academy and D. A. Dorsey Technical College. This interactive panel event provided the stage for successful entrepreneurs to share their challenges and success stories with the students. They also provided advice and insights helping direct these students on a more enlightened path to entrepreneurship. Members of the panel included Angela Benton, CEO, NewME, Brian Brackeen, CEO, Kairos and Marcell Haywood, CEO, Encompass. 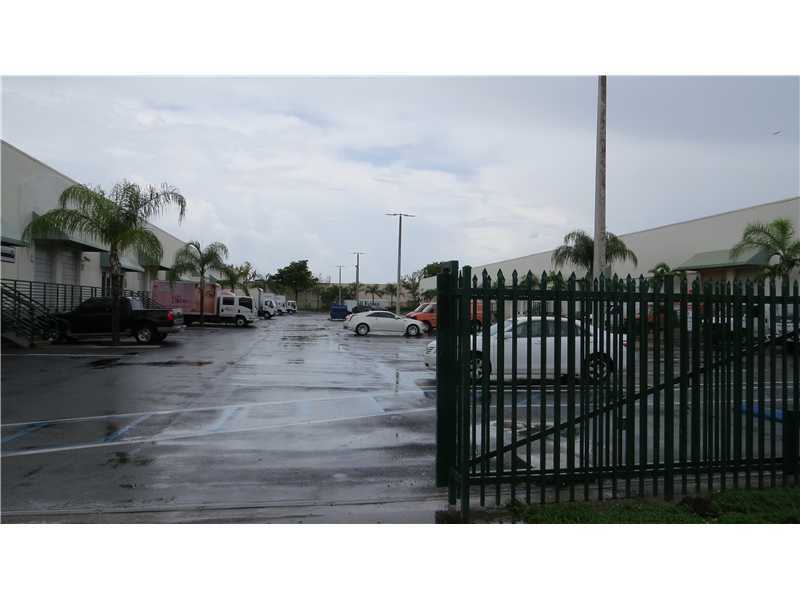 My current role is what brought me to Miami, where I have lived since September of 2010. I started my career with UPS loading and unloading packages as a way to stay fit. This was back when I was in college, where the job not only helped me cover my expenses as a student, but it also shaped a philosophy that I still have today and that is, “define your sky.” This simply means to define where you want to be in life and outline your blueprint on how you plan to get there. I have always been a believer of the impact of public-private partnerships, so when I arrived in Miami and started getting acquainted with the business community, I heard about The Beacon Council and their impact to Miami’s business and economic landscape. Why is Miami the best place for your business? For a global company like UPS, as well as hundreds of other businesses in the international sector, Miami’s proximity to Latin America and the Caribbean is a key strategic asset that makes this community the ideal location for international commerce in the western hemisphere. I believe that there are bright, young professionals coming out from Miami’s universities, however the high cost of living makes them explore other cities where starting their careers may be easier. UPS aims to deliver value to customers as we help them expand their businesses. For this, we must be aware of the major trends affecting Latin American businesses. From my point of view, there are four major factors to consider: the rising middle class, the importance of emerging markets, e-commerce and healthcare. Everything! I love the weather. I am a runner and avid sports fan, so Miami allows me to enjoy the outdoors, whether it’s participating in sports as an athlete or partake in a game as a spectator. Nathalie Manzano-Smith, Alissa Farina, Program Manager and Jaap Donath, Ph.D., with The Beacon Council. The Miami Science Barge is a floating urban ecological laboratory and public environmental education center docked at Bayfront Park. Among its founders’ goal is to catalyze local efforts to build a sustainable Miami and develop green technologies in Miami. 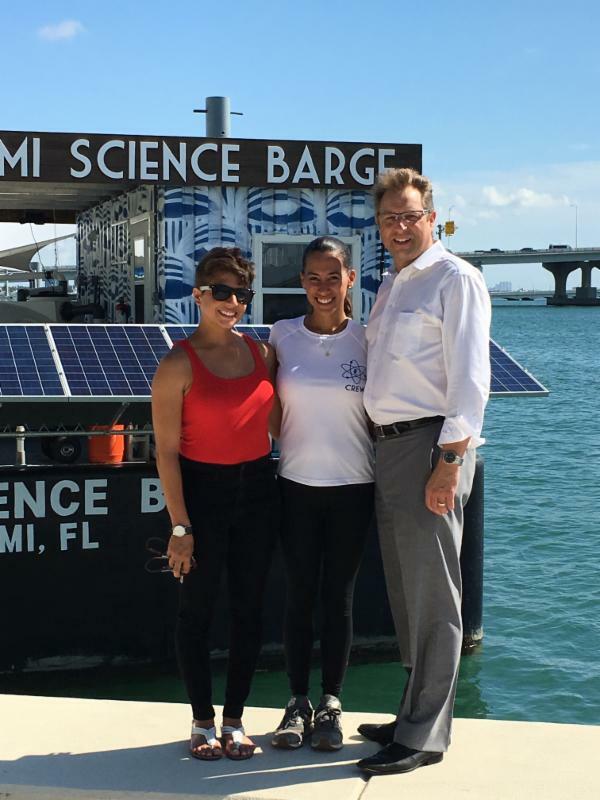 Powered by renewable energy, the Barge is designed to be a major focal point for STEM education and sustainability initiatives in Miami. The 120 by 30 ft. steel deck is occupied by interconnected technical modules in three categories: living systems, marine experiments, and renewable energy backbone. The Science Barge model has a proven track-record in stimulating green technology. The Miami Barge is inspired by a project created in 2007 by Dr. Ted Caplow in New York City that sparked a wave of interest in urban agriculture. The Barge will convene events on green design, urban planning, environmental science, and marine conservation, with particular attention to Miami’s potential as a global innovator and leader in climate change and sea level rise. Miami-Dade Aviation Director Emilio T. González announced that Miami International Airport has partnered with Brussels Airport to create an international pharma air hub alliance, with the goal of bolstering what is already a thriving industry for the two air cargo gateways. The alliance, which was signed into effect on the opening day of the 2016 The International Air Cargo Association (TIACA) Executive Summit and Annual General Meeting in Hollywood Beach, Florida, aims to build a network of airports dedicated to growing the global pharmaceutical (pharma) industry – an economic sector the World Health Organization projects will rise in value from $300 billion to $400 billion within the next three years. The Beacon Council congratulates everyone involved for working towards getting NFL owners to decided to award Super Bowl LIV in 2020 Super Bowl to Miami. The game will be played in the City of Miami Gardens at the home of the Miami Dolphins, currently undergoing at $450 million upgrade. The renovations at the New Miami Stadium include a completely modernized exterior, shade canopy and four high-definition scoreboards. Read and view the CBS4 report.